GoPro Fusion has the best 360 video quality among consumer cameras at the moment. However, there are many complaints about stitching being too slow. Here are tips to get faster stitching on Fusion. Before we go on to the tips, one thing to note is that Fusion practically requires a dedicated graphics card. It doesn’t have to be the latest and greatest — I recommend the $199 GTX 1050 Ti 4GB, which on my tests, was surprisingly as fast as a ~$680 GTX 1080 for stitching. It might feel strange to buy a $200 graphics card to use a $699 camera, but among all the 360 cameras and panoramic heads I own, the Fusion is the closest thing to a perfect 360 camera thus far, with excellent video quality (almost as good as the $3499 Insta360 Pro), excellent stabilization and very good photo quality (see my detailed review). Now here are 6 tips to stitch faster on the Fusion, even without upgrading your PC. 1. Use a faster Micro SD card. During the stitching process, Fusion Studio must retrieve the files from the Fusion’s Micro SD card. Therefore, using a faster Micro SD card will improve your stitching time. The fastest Micro SD card at the moment is Sandisk Extreme Pro. It costs much more than other Micro SD cards, so if you want to save, get the 64GB version, which is the sweet spot in terms of cost per GB (it costs only 50% more than the 32GB version, even though it has 100% more capacity). 2. Shoot selectively. Fusion video files are very large – each lens captures a video that has about the same resolution as a 4K video — and there are TWO of them being recorded concurrently. Therefore, you should shoot more selectively. 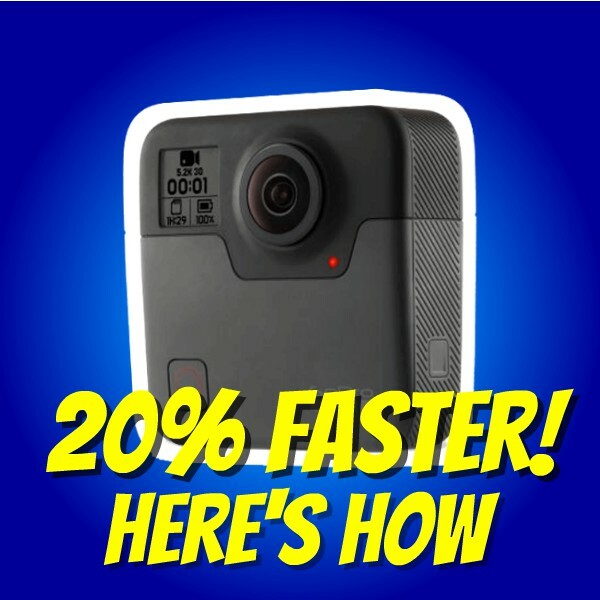 Instead of simply recording everything, I try to ask myself, “Will I really use this footage?” And remember that most people don’t want to watch very long 360 videos anyway. Shooting selectively saves your batteries, hard drive space, and stitching time. 3. Use smaller directories. Every time you open Fusion Studio it has to regenerate the thumbnails for all the files in your folder, as well as all subdirectories. To minimize the time spent regenerating thumbnails, put your Fusion files into smaller folders. For example, instead of putting a whole month’s worth of videos into the same folder, put only one day’s worth of videos into a folder, and create a separate folder for another day’s videos, etc. With fewer files in a folder, Fusion Studio will be able to generate thumbnails for it more quickly. 4. Stitch from your hard drive, not the Fusion. Listen up — this is the most important tip. Fusion Studio enables you to review and stitch either directly from the Fusion (by connecting it to your PC), or from files that have been copied or transferred to your hard drive. Here’s the key: if you stitch from the Fusion, it will take around 20% longer to stitch, compared to stitching the same file(s) from your hard drive. I tested a 16-second video file and stitched it with full stabilization at 5.2K, 360 audio, Cineform, with D-Warp on. When I stitched from the Fusion, it took 133 seconds. When I stitched the same exact file from my hard drive, with same exact render settings, it took 111 seconds. Therefore, stitching from the Fusion appears to increase stitching time by around 20%. So you can improve your stitching time by almost 20% simply by stitching from your hard drive instead. Importing 45.5 GB of videos and photos from Fusion, including previews, took 8 mins 14 secs on my PC. If I copied the same files to my hard drive and opened the folder from Fusion Studio, the total time, including both copying the files plus opening with Fusion Studio and generating previews, took about 11 mins 59 secs, even though I copied from the two Micro SD cards simultaneously (one with a card reader, and the other with an SD card adapter, and both transferred at around 40 mbps). 5. Trim your videos before stitching. Fusion Studio lets you trim your videos before rendering them. The original unstitched files are preserved. Instead, you simply use in and out markers to specify the range that you want to render. By trimming the videos before sending them to the render queue, you only stitch what you really need, thus saving stitching time and hard drive space. What if you need more than one segment from a video? Use the “Create a Copy” button. It doesn’t literally create another copy of the video. Rather, it creates a shortcut to the original file, and lets you use different settings — or trim a different segment — when you render. To avoid confusion, you can click on the title of each copy and change it to a more meaningful title. 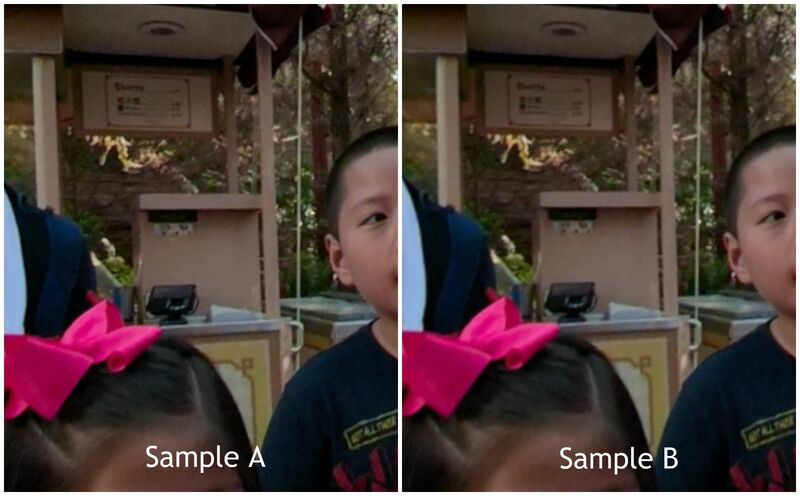 In the cropped screenshots above, Sample A is 5.2K, while Sample B is 4K. Rendering video as 4K in H.264 will save you stitching time and hard drive space (5.2K Cineform files are about 10 times larger than 4K H.264 files). – a more powerful PC (i7-6700, 32GB, Gigabyte GTX 1080). I rendered the same 16-sec video on both of them. Surprisingly, they had identical stitching times of 111 seconds, or around 6.9 frames per second. From this test, it appears that more RAM has no effect on the stitching speed, and as long as your processor and graphics card meet the recommended specs (i5 processor, dedicated GPU), a higher-end processor or a faster GPU does not improve stitching speed significantly. I plan to do more tests in the future. Nice tips Mic….thanks The graphics card makes the most difference in render speed. GPU performance is key. Great videos and content you make, Mic, thanks! Do you think it should do the trick? What software did you use? Fusion Studio?